Fill in your details to download your asset. Information technology has proved to be a force to be reckoned with. 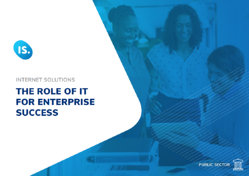 It has dramatically transformed organisations because it has changed its role from being a support function in a niched industry to one that now drives operational efficiency. This guide looks at how IT will improve the performance of state-owned enterprises.